Golf Talk Canada (GTC) was originally planned as Golf Talk Ontario when it debuted in August of 2011. Originally airing in only Toronto on TSN 1050, TSN Radio Programming at the time decided to launch out of the Gates with “Canada” and never using “Ontario”, 4 months later GTC Radio was in every major TSN Radio Market coast to coast becoming Canada’s First (And still only) National Golf Talk Radio Program. Originally Mark Zecchino would be the lone host of the Program, and he would eventually be joined by Canadian Broadcast Legend Jim Tatti. They would go on to launch GTC TV in Spring 2015. In 2017 Canadian Golf Hall Of Famer Bob Week’s would join Mark as his regular co-host on both GTC Radio and TV. Golf Talk Canada continues to be the most listened to and watched Canadian Golf Program. Golf Professional who has worked in the golf industry for over 25 years. Formerly representing Augusta National and The Masters Broadcast in Canada behind the camera lens for 11 years, in 2010 he launched Canada’s only National Golf Talk Program (Golf Talk Canada). Today Golf Talk Canada is still Canada’s only National Golf Talk Program on Radio and now also on the TSN Television Network. 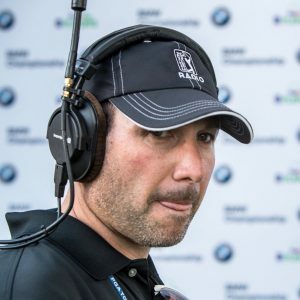 Mark is also the only Canadian member of the PGA Tour Radio Live Play By PLay Team, as well as a member of the TSN Major Coverage crew starting this April at The Masters in Augusta Georgia. Recently Mark opened for David Feherty and his one man tour, and was also honoured by being added to the Golf Digest Top 100 Panel. 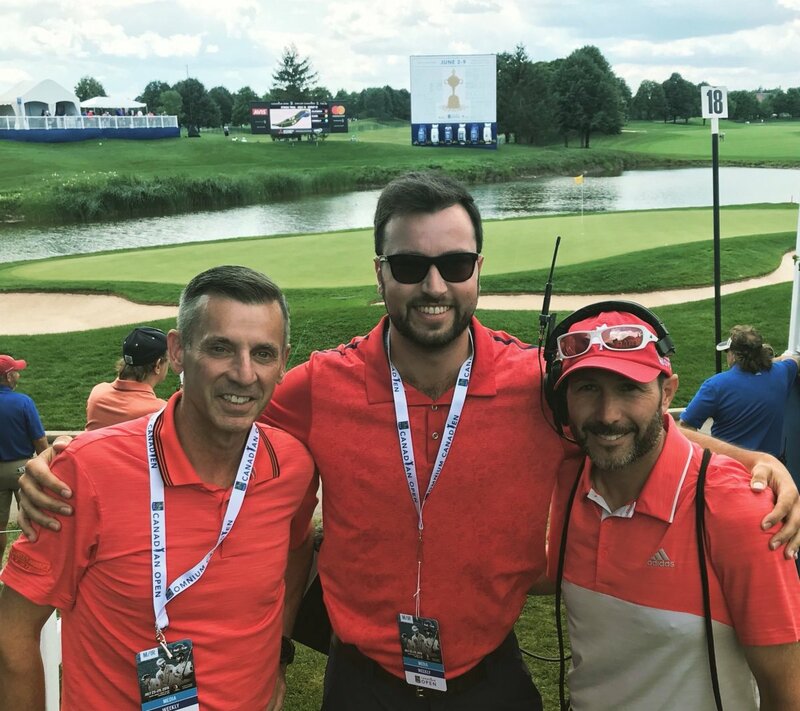 Still an avid golfer, course record holder, and a competitive player; Mark is also a TaylorMade/Adidas Ambassador, and Communications Lead on the Golf Ontario Task Force. Bob Weeks is TSN’s resident golf and curling analyst and has covered the sport as one of the world’s leading golf experts for the past 25 years. Weeks was named the #1 media personality and sixth most influential person overall in the Canadian golf industry by the National Post. Bob has now joined Mark Zecchino as the co-host for Golf Talk Canada and will also cover all Major Golf Broadcasts for TSN in 2016. 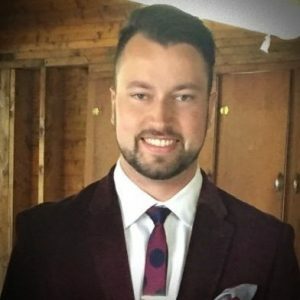 Adam Scully is beginning his third year producing Golf Talk Canada. He also contributes to Golf Talk Canada on TSN Radio, where he joins Bob and Mark for "Scully Time" every week. Adam is also a writer for TSN, where he contributes to the golf and hockey coverage, and also produces Junior Hockey Magazine on TSN Radio. Of note, Adam is a 5 handicap and also enjoys working out. 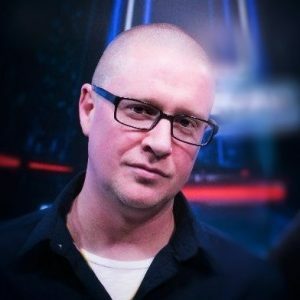 Chris McKee is a Toronto based writer/author and broadcaster who runs all of the social media outlets for Golf Talk Canada and is an occasional contributor on the radio show. 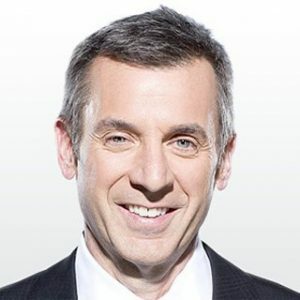 He has covered some of the biggest sporting events in North America including the PGA and LPGA, NCAA basketball, football and volleyball as well as the NBA and NHL.Chris is also a traffic and weather reporter for TSN 1050, NewsTalk 10101 and Jewel 88.5 in Toronto. Prior to working in sports, Chris was an award winning music agent who has produced concerts for the likes of Rihanna, Justin Timberlake,The Roots, Wu Tang Clan,The Black Eyed Peas, Norah Jones and dozens of Grammy & Juno winning musicians. Chris is the author of "Life on the road with the Wu-Tang Clan" which is a book about his 10 plus years on the road with hip-hop's most notorious group. Chris is also the play-by-play voice for the No.1 basketball prep school in Canada (Orangeville Prep/Athlete Institute and the OSBA) as well as calling pro volleyball for One Volleyball.